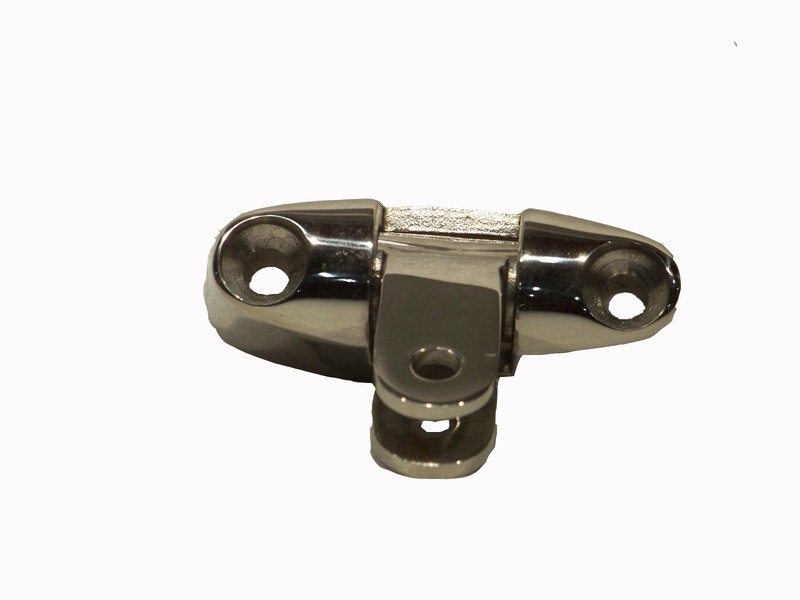 This is our 316 Stainless Steel Low Profile Adjustable Deck Hinge. 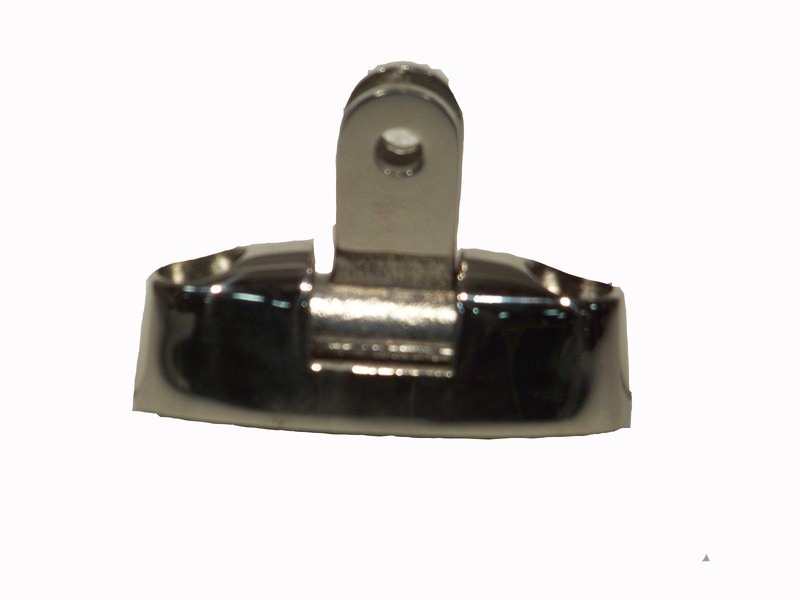 The prongs have been drilled for the standard 1/4" pull pin available in our store. These prongs have the standard 3/8" gap that fits most all eye ends. The hinge has a range of motion of about 135 degrees. The base is 2 3/4" long, 3/4" wide, 1" tall. The center to center of the mount holes is 2". 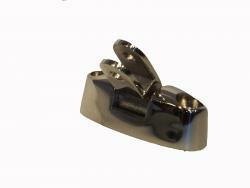 This part is most always used to mount a Bimini top to a boat. Many times a sail boat, were the mount can be tricky.